How Does Education Add Up In Boise? Low scores, high ambitions. Idaho tends to get a bad rap when it comes to education, but we’re ready to put that reputation to rest. Not only does Idaho boast some of the most impressive high school graduation rates in the nation, but it’s also a veritable mecca of postsecondary education options. Read on to learn more about how education adds up in Idaho. What Do Idahoans Really Think About Education in Idaho? Google “education in Idaho” and you’ll be bombarded with headlines proclaiming, Idaho ranks poorly! and Idaho dead last in education! Unfortunately, all those headlines have managed to do is bring down the public’s opinion about Idaho schools. As of 2016, studies show that 65 percent of people surveyed by the J.A. and Kathryn Albertson Family Foundation believe the Idaho public school system is “OK, but it could be a lot better with a some changes.” Another 26 percent believe a total overhaul is in order. It’s no secret that charter schools are a popular alternative for Idaho families — both student enrollment and the number of charter schools in the valley have increased substantially since the late 1990s. In 2001, a mere 1,500 students were enrolled in Idaho’s select charter schools. Today, nearly 20,000 students are enrolled in Idaho’s 48 (and counting) charter schools. 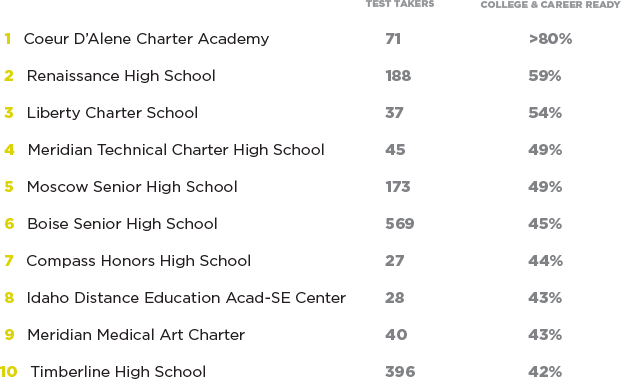 Do charter schools perform better than public schools? high school and college career readiness scores, they definitely can. Seven of the top 10 schools that ranked highest in career readiness are technical or charter schools. But what’s even more telling is seven of the top 10 schools are located right here in the Treasure Valley. Nearly all of the lowest-performing schools are located in significantly more rural counties in southeast Idaho, which suggests the distance from Idaho’s urban capital impacts student success more than the type of school. The majority of Boise schools — charter, technical, and public alike — scored greater than 40 percent when it came to college and career readiness. Nationally, Idaho ranks 50th in the proportion of students who graduate from high school on time and go directly to college. Dead last. And it gets worse. When it comes to the proportion of college students returning for a second year, Idaho ranks 46th. However, according to 2012-13 reports from the U.S. Department of Education, Idaho’s on–time high school graduation rate was over 84 percent — 3 percent higher than the national average of 81 percent. In fact, Idaho’s high school graduation rate was ranked No. 13, nationally. Albeit, that number tends to fluctuate around 5 percent each year. But even at its lowest — 2014 reports demonstrated a drop to 77.3 percent — Idaho is consistently on par with the national average. So, why aren’t those graduates — who were so adamant about finishing high school — going to college? Some experts believe it goes back to a lack of early education. a 2015 report by the National Institute for Early Education Research. That’s unfortunate, given studies show that early education can be pivotal to the success of a student throughout grade school and beyond. In fact, students who attend preschool and kindergarten tend to be more successful and stick with their educations longer. According to this report from Idaho Kids Count, “Strong foundations prepare children to be productive adults … children who have access to early learning take pride in their education.” That’s an important trait that eventually leads to higher graduation rates. Others claim that Idaho students simply take their time. 5,100 of them are older than 30. Meanwhile, only 41 percent of the student population falls into the 18-22 age range, which is much lower than the national average of 60 percent. This would suggest that BSU students, at least, decide to go to school later in life. Well, if you ask students directly out of high school, they’ll tell you they just don’t see the point. They’re bombarded with media sources telling them their expensive degrees are worthless, useless, and a total waste of money. The benefits of a college education don’t outweigh the cost, so grads don’t feel motivated to pursue a degree. Next Steps Idaho are out to prove the naysayers wrong. “Next Steps Checklists” that guide families of students in grades eight–12 through the college application and acceptance process. Checklists cover things like financial aid and scholarship opportunities, in addition to things like exploring a career path and setting GPA goals. 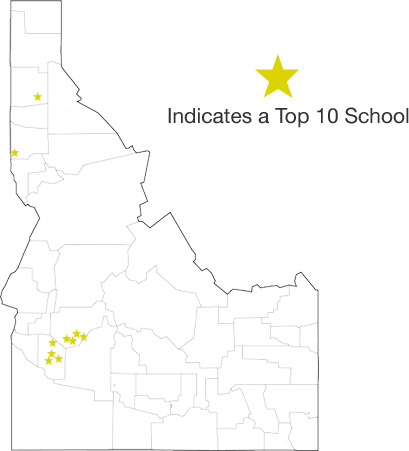 Additionally, Next Steps Idaho includes step-by-step guides, with links and resources, for students interested in continuing their educational careers, all of which make the application process easy. In the long run, Next Steps Idaho hopes to maintain Idaho’s strong high school graduation rate and encourage those graduates to carry that momentum into postsecondary education. Studies show that Idaho employers want at least 6 out of every 10 workers to hold a postsecondary certificate or degree. And experts believe that, by 2018, 2 out of every 3 new jobs in Idaho will require an education beyond high school. Well, in short, Boise is growing like a weed. As a whole, Idaho was recently named the No. 3 state with the fastest job growth (via MSN Money). And over the past several years, Boise has also been named the No. 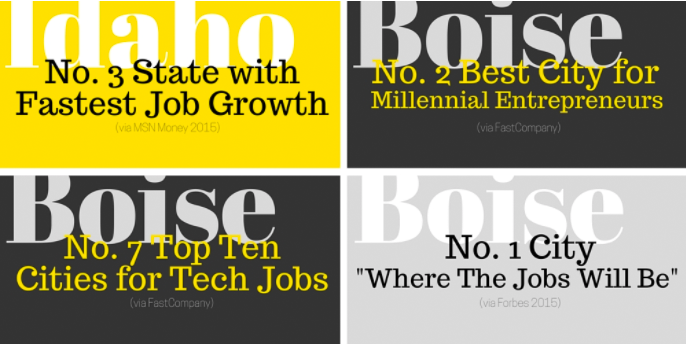 2 best city for millennial entrepreneurs (via FastCompany), the No. 7 top city for tech jobs (via FastCompany), and the No. 1 city “where the jobs will be” (via Forbes). Boise’s economy is expanding, and we need an educated workforce to support it. If we don’t give our businesses the workforce they need, it will be difficult for Idaho’s economy to grow and thrive in the future. What kind of workforce will Idaho businesses need? Knowing this, the ISBE has established the goal of having 60 percent of the state’s 25- to 34-year-olds hold a postsecondary credential by the year 2020. In an effort to hit that 60 percent goal, the Idaho State Board of Education has also set a goal to help 60 percent of high school students score 500 or higher on all sections of the SAT. Scoring 500 or higher on a section of the SAT would indicate that a student is not only prepared for their future career or college journey, but also has a higher probability of success. How does the ISBE intend to hit that 60 percent goal? Idaho Core Standards (based on the belief that higher standards raise student achievements) to offering more advanced postsecondary opportunities while students are still in high school. Idaho’s per-student spending is the second lowest in the country, higher only than our southern neighbor, Utah. In 2011, Idaho schools spent just $1.9 billion on education, which equates to about $6,821 per student. This number is lower than the national average of approximately $10,658 per student, and much lower than New York, the highest spender, which clocks in at $20,000 per student. Like most Mountain West states, Idaho has a fairly small economy relative to its student population. As a result, we have the lowest personal income rates per school-aged child. For every $1,000 of personal income, Idaho citizens spend $37 for public K-12 education. The national average is $41 for every $1,000 of personal income. On top of that, Idaho has the third-highest child-per-family ratio in the nation, so there are more students sharing that smaller economic pie. In fact, Idaho’s K-12 finance system is the 50th least equitable in the country. However, studies show that higher spending does NOT guarantee higher student achievement. In fact, there is NO clear relationship between per-student spending and student achievement. As part of the initiative to encourage higher education, Boise offers a vast array of collegiate-level schooling. Whether you’re a recent high school graduate or a working parent looking to go back to school — with a smattering of campuses and higher education opportunities and the ability to take classes online — you’re bound to find an option that works for you. Notable alumni: The Boise State Broncos have produced more than a handful of NFL football players and, most recently, two Paralympic gold medalists/world record holders. 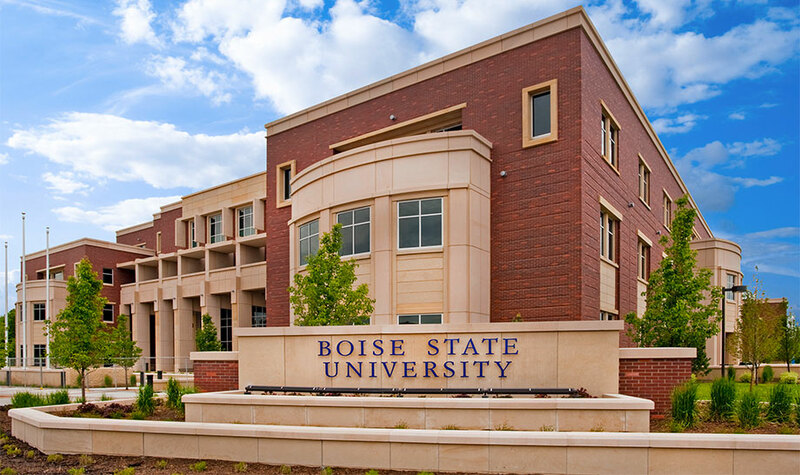 Boise State University was founded in 1932, in the heart of Idaho’s capital city. The campus occupies 180 acres in the midst of downtown Boise, with direct access to the Boise River and greenbelt. Students can choose from more than 170 academic programs — including that nation’s only degree in raptor biology. Outside the classroom, students have their choice of 200 campus clubs to join, or study abroad programs that visit 50 countries. Boise State is home to Bronco Stadium (with its famous blue “smurf turf” football field), as well as a state-of-the-art student recreation center with a 7,200-square-foot rock wall. 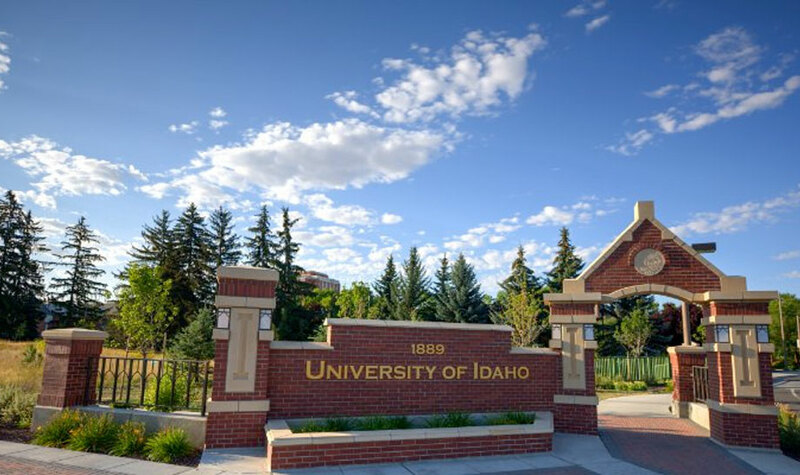 University of Idaho was founded in 1889 in Moscow, Idaho. However, it’s rural setting makes for a beautiful 1,450-acre campus. Undergraduates can choose from many majors within eight colleges, and graduate students can earn degrees in more than 80 master’s programs. U of I athletes are known as the Vandals — thanks to an old newspaper’s account of the 1917 basketball team that “vandalized” their opponents on the court. 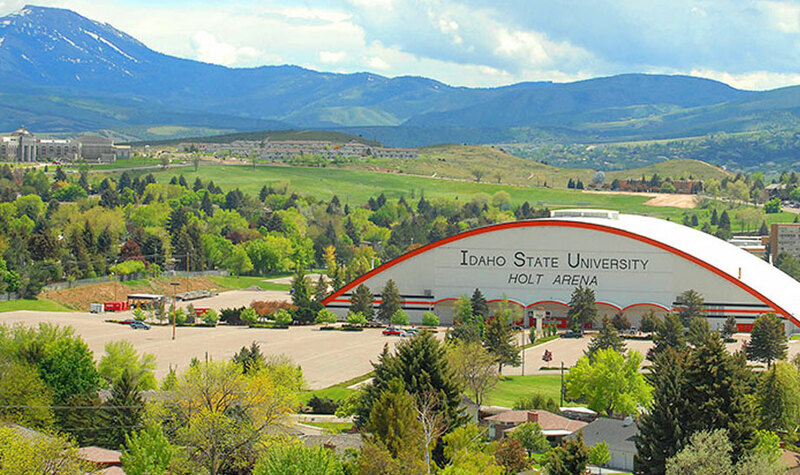 Idaho State University is located in Pocatello, about 160 miles north of Salt Lake City. Students at ISU can study in more than 280 academic programs and partake in over 160 campus clubs and intramural sports. 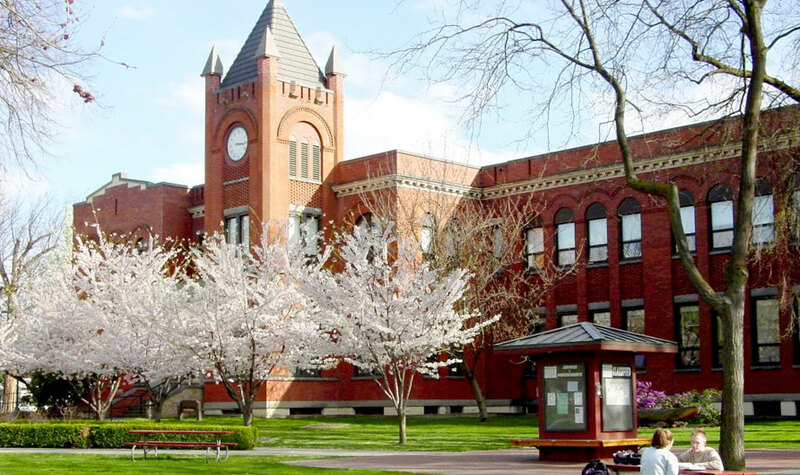 Lewis-Clark was founded in 1893 in Lewiston, Idaho, “where two rivers, two cities, and two states come together.” The 46-acre campus hosts more than 3,500 students from over 20 states and 40 countries.